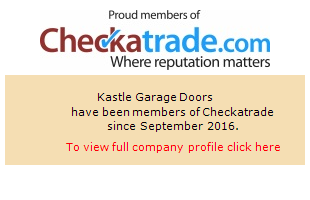 Here at Kastle Garage Doors we have been busy installing many types of garage doors in and around Sheffield. These three garage door installations will give you an insight into how professional we are when we install or repair your garage doors. We install all types of garage doors from up and over doors, insulated garage doors as well as remote garage doors. View our recent work below and if you are looking for a new garage door please do get in touch with us for a free quote. Fitted in Owlthorpe , Sheffield.